How to draw gasmask soldier. And how to color the drawing after. This video tutorial shows you how to paint a gasmask soldier. This character is some sort of a gasmask apocalypse rogue soldier sketch tutorial, character thumbnail concept sketch. You can scroll down further to see step by step images with instruction. Since I’ve been playing around with zombie idea and the zombie hunter’s weapons in the previous post, Zombie digital painting tutorial. 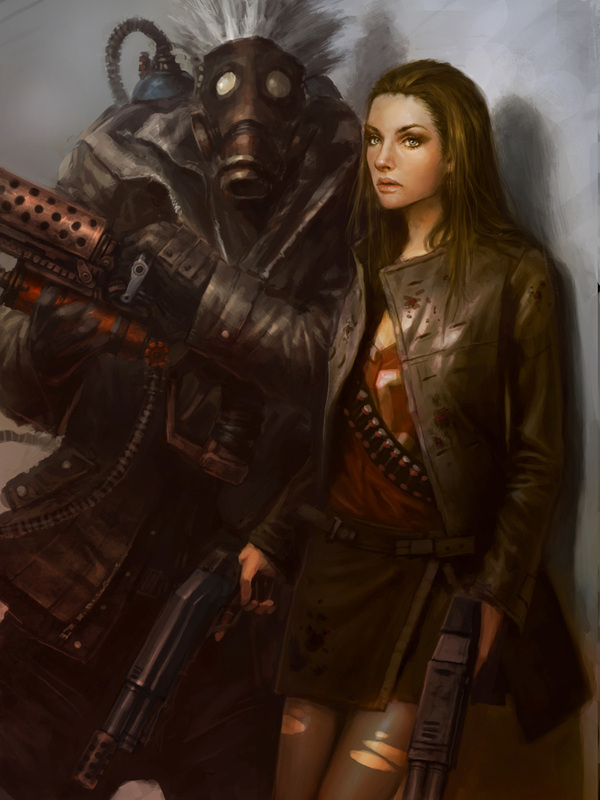 I was thinking about having the female character has a mace, but then shotgun and flamethrower were suggest by our friends and readers. Since Flamethrower is one of my favorite arsenal of weapons of all time doesn’t matter what game I was playing…with flamethrower, it always make it waaaaaaaaaaay better! Since I could not possibly squeeze in flamethrower or flame-gun into the previous illustration because. IT IS BIG and will possibly change the look and the characteristic or persona of the character I already established. I decided to quickly sketch an addition cast to the Zombie hunting horde. The creepy gas-mask rogue soldier steampunk-ish dude. Anyway, it was a fun. 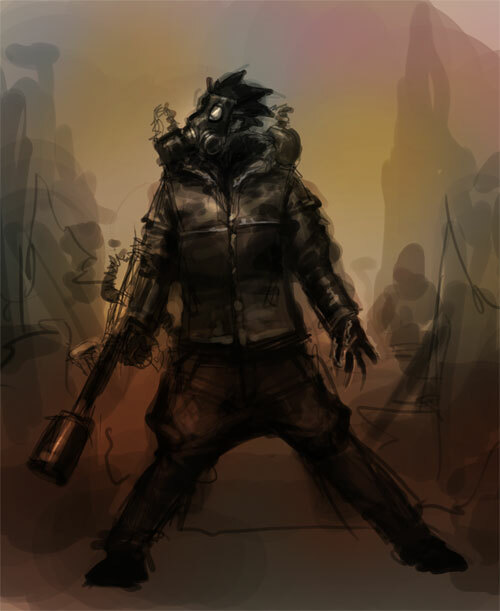 Here is a final concept art for a gasmask soldier character design. Below are step by step easy and simple version of a gasmask guy. Watch the video tutorial for more detail instruction. How to draw a gasmask soldier. These step by step drawing below, I am adding more detail and making his pose more dramatic. OK below are step by step drawing and digital painting tutorial for the more realistic version of a Gasmask dude with a spunky woman. Below are step by step how to paint a gasmask character design in detail. More drawing and painting tutorials. Thanks, I could probably do that, but changing brushes save a lot of time on texture creating on the different material. Go read https://idrawgirls.com/tutorials/2011/11/01/achieving-looseness-in-painting/ and http://idrawgirls.blogspot.com/2011/02/digital-painting-technique-using.html good luck. Very cool. Did you pretty much use the same brush on the whole thing?